The FeedTacoma.com Tacomic is turning 1 next week and we're throwing a party! Come by the Helm Sunday, March 9 from 3-5pm to celebrate with us. RR Anderson will be on-hand with original Tacomics and selections of his other work for viewing and sale. 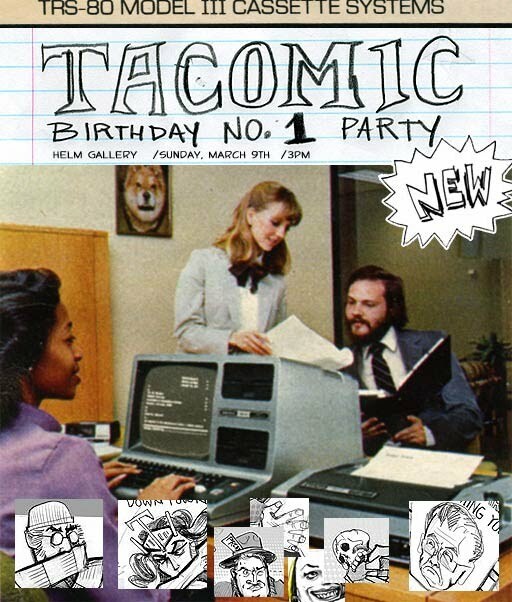 Plus, we'll unveil a special 1st Birthday edition of the Tacomic a few days before it hits the Internets. We'll have snacks and drinks on-hand but please RSVP to tacomic@feedtacoma.com so we don't run out. 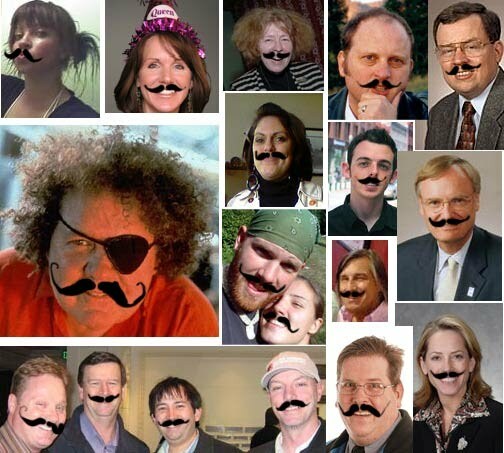 Help us celebrate a talented artist's work and kick off the next 52 weeks of Tacomics right. by Erik on 2/29/2008 @ 12:35pm Please register my RSVP. by NineInchNachos on 2/29/2008 @ 12:45pm Kids around the country are asking: who would win in a challenge between The Tacoma Urbanistâ„¢ Action Figure vs. The Kevinâ„¢ Action Figure? find out March 9th!!! by izenmania on 2/29/2008 @ 12:48pm Depends on whether the Urbanist can snag Kevin's trumpet with his harpoon before Kevin starts firing. by Erik on 2/29/2008 @ 3:21pm Kids around the country are asking: who would win in a challenge between The Tacoma Urbanistâ„¢ Action Figure vs. The Kevinâ„¢ Action Figure? find out March 9th!!! *provided no one throws any bread. Anyway, my RSVP is always a decisive "maybe" due to various real-life scheduling issues on weekends. by izenmania on 2/29/2008 @ 3:26pm Put jenyum down for a yes and if she doesn't show I'll eat double to balance out the munchies. No need to thank me... I'm always glad to help. by ensie on 2/29/2008 @ 4:21pm Frinklin and I will most definitely be there. by Daymaker on 2/29/2008 @ 7:40pm Does anyone know who did a comic about the white washing of graffiti, and the embellish building? by KevinFreitas on 3/1/2008 @ 8:29am Does anyone know who did a comic about the white washing of graffiti, and the embellish building? Is this the one you're thinking about? by Daymaker on 3/5/2008 @ 9:55pm Yes thanks.